Maria's Space: Ever Wonder What Your Pets Do When You Are Not Home? Ask Siri! Ever Wonder What Your Pets Do When You Are Not Home? Ask Siri! Recently announced by iTunes, Universal Pictures Home Entertainment has partnered with Apple on The Secret Life of Pets to provide Siri the koalifications to answer the question, “What do my Pets do when I’m not at home?" With 15 different programmed responses, this is the first time Apple has collaborated on a home entertainment title and the first time Siri has been programmed to interact with an iTunes movie title. We are not kitten you, this toadally works! 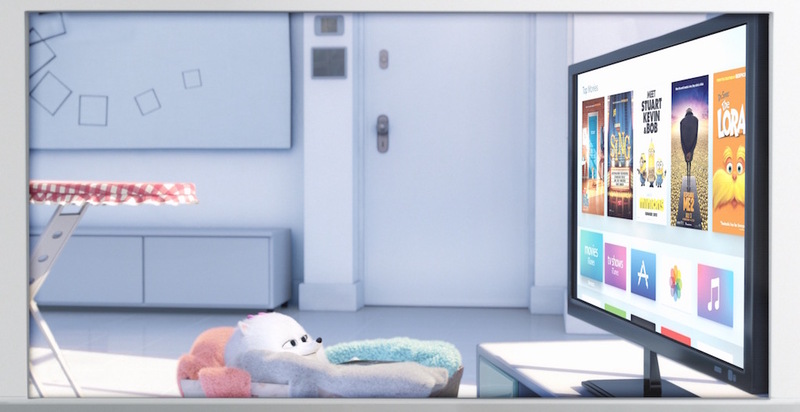 Starring an all-star voice cast featuring Louis C.K., Eric Stonestreet, Kevin Hart, Jenny Slate, Ellie Kemper, Lake Bell, Steve Coogan, and Albert Brooks, The Secret Life of Pets will also be available on 4K Ultra HD™, Blu-ray™ 3D, Blu-ray™, DVD, and On Demand December 6 from Universal Pictures Home Entertainment.